Morris Tree Services operates at a fully comprehensive and professional level. Morris Tree Service’s head of tree operations, Nelson Morris, attended Humber College’s Urban Arboriculture program, in Toronto, Ontario and graduated at the top of his class. While in Ontario, Nelson also gained extensive experience working for three separate tree specialist companies and became an ISA certified arborist. Our certification and education, combined with years of experience, makes us an excellent choice for your tree needs. Morris Tree Services offers accurate and precise assessments, ensures proper execution and care when planting, maintaining, and pruning trees, and performs safe and efficient removals. 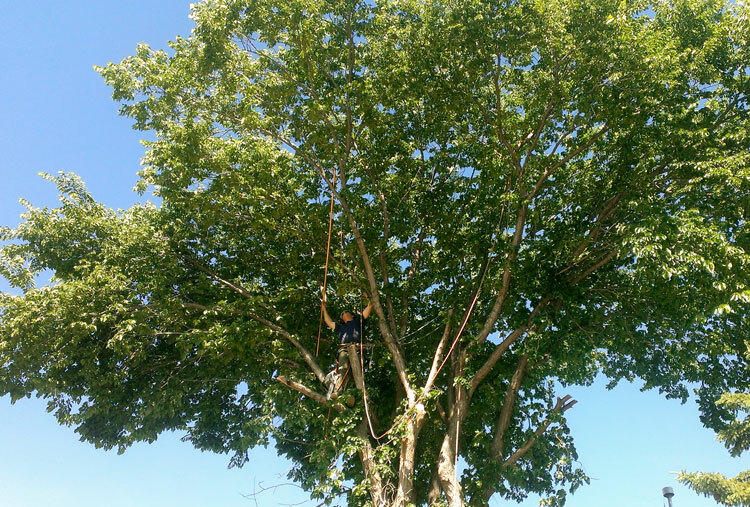 When it comes to your tree care and tree removals, it is best to trust the professionals! Morris Tree Service can provide consultations regarding your tree’s health, develop arborist reports, or construction plans. 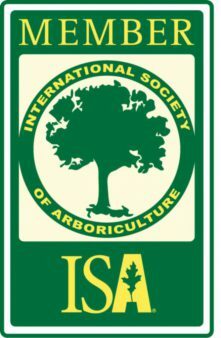 As an ISA Certified Arborist, Nelson can help you to make informed decisions to pursue the proper course of action for your trees. Arborist reports are documents that can provide information about the classification, current health, and management of your trees. Construction can severely damage a tree in many different ways. It is important to put Tree Protections Zones into place in order to mitigate the damage that could occur. Construction plans can provide information on how to protect your trees during a construction project. Morris Landscaping & Tree Service provides stump grinding service to remove unwanted tree stumps on your property. 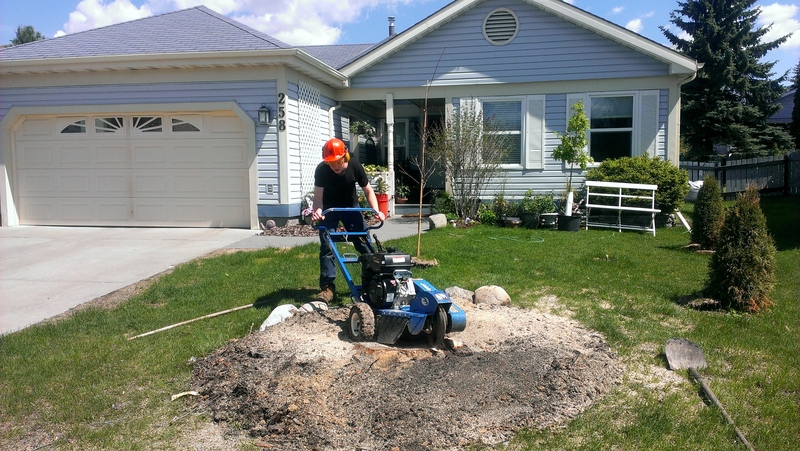 Using a stump grinding machine, we can grind a stump down 12 inches (30 cm) below the level of the ground. This is deep enough to remove most of the major roots under the tree. Removing the stump allows you to use the area for replanting another tree, sodding over the area, making a flower bed, etc. If there are access restraints such as gate widths, etc., different sized stump grinding machines can be used to accommodate the situation. Although tree removal is a last resort, there are circumstances when it is necessary. 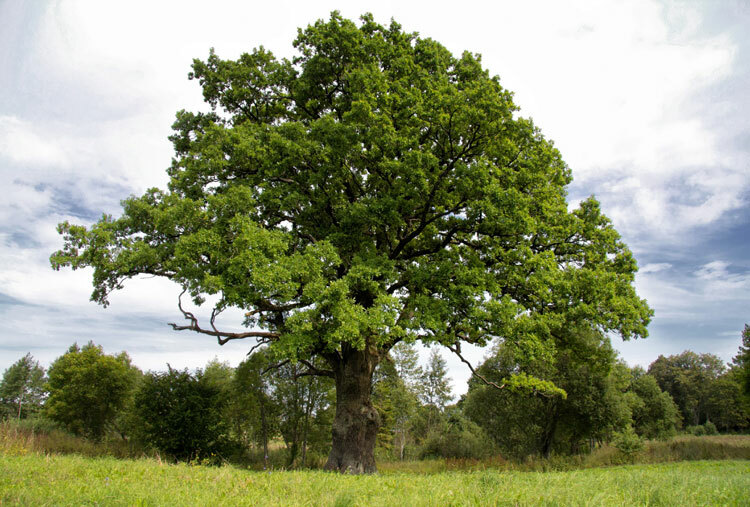 Trees biologically grow until their mass exceeds their structural strength. This is fine in a natural setting, but needs to be controlled around buildings and people. Morris Tree Service can provide information to help you make an informed decision as to whether a tree should be removed. 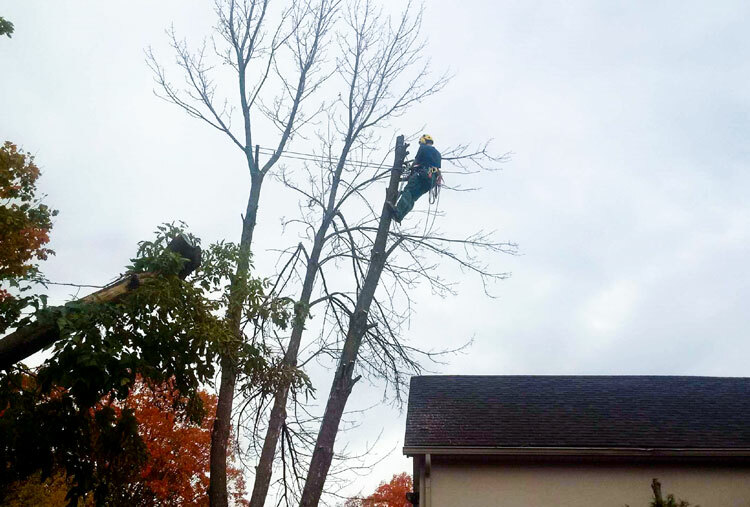 With extensive training in safe rigging practices and years of experiencing different removal scenarios, we can safely remove your tree. Safety is the number one priority with any tree work, and with Morris Tree Service, we can assure you we will perform the work safely and efficiently with the highest respect for the safety of our employees, and the preservation of your property, landscape, and building structures. Morris Tree Services can advise you as to the type of pruning required to maintain or improve the health, appearance, and safety of trees. Proper pruning techniques are used to maintain healthy structure in trees, improve tree shape or form, and reduce the likelihood of future damage during storm events.  Morris Landscaping & Tree Service provides quality landscaping, tree service and water feature design and construction. Serving the Edmonton area, our company is committed to professional, efficient, and quality service.